During the winning of the Sino-Japanese War in 1945, he established Da Tong Cotton Co. and initiated his own manufacturing business. Later on, he opened Far Eastern Knitting to enter into the textile industry. In 1957, Taiwan’s economy boosted with the Government’s promotion of the national economic and reconstruction plans. Mr. Hsu saw the future trend and established with close friends the Asia Cement Crop. to manufacture the much needed cement material. Through fierce competitions and numerous tasks, Mr. Hsu gradually expanded his scopes of businesses from textile and synthetic fibers to include petrochemicals, cement, retail, financial services, transportation, telecommunications, etc. With total assets of over US$16 billion registered in 2000, the Far Eastern Group is Taiwan’s most diversified industrial conglomerate. As a good corporate citizen, Founder Hsu received on April 29, 1999 the Order of Brilliant Star with Grand Cordon from then President Lee Teng-Hui for Mr. Hsu’s lifetime contributions and dedications to the industrial and economic developments as well as other social causes. 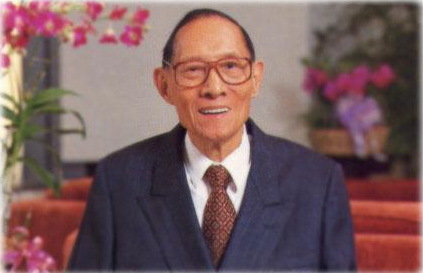 On December 23, 2000, Mr. Hsu, the remarkable industrialist and entrepreneur who had lived a full life, passed away at the age of 90 leaving a valuable heritage of “Sincerity, Diligence, Thrift and Prudence. In order to carry on his valuable heritage, Far Eastern Group founded the Far Eastern Y. Z. Hsu Science and Technology Memorial Foundation with the Hsu family on March 23rd 2001, and which was approved by the NSC(now known as the MoST) in December. Through these years, the foundation has upheld its mission “Technology and Innovation” to promote the domestic science affairs and award the talents in the technology industry. In order to sincerely and thoughtfully repay society by nurturing the manpower needed for the nation’s developments, Mr. Yu-Ziang Hsu, the Founder of Far Eastern Group, sought out the eminent domestic scholars willingly dedicating themselves to promote the establishment of the Yuan Ze University based on the highest educational ideals. Since its establishment in 1989, Yuan Ze University has propelled its growth under the guiding principles of Mr. Yu-Ziang Hsu’s founding spirit: “Sincerity, Diligence, Thrift, and Prudence ” which have been also taken as the University’s Motto. Sincerity means treating people in a sincere manner. Mutual trust is the only way to enhance teamwork. Diligence means working hard and reforming oneself every day. To remedy our weaknesses with diligence is the only way to overcome the difficulties happening in our lives. Thrift means simplicity. Living a thrifty life and cherishing one’s blessings will naturally bring one a peaceful state of freedom from desires. Prudence means making a clear-headed assessment before getting involved in any matter. Easy success can be only obtained through planning.